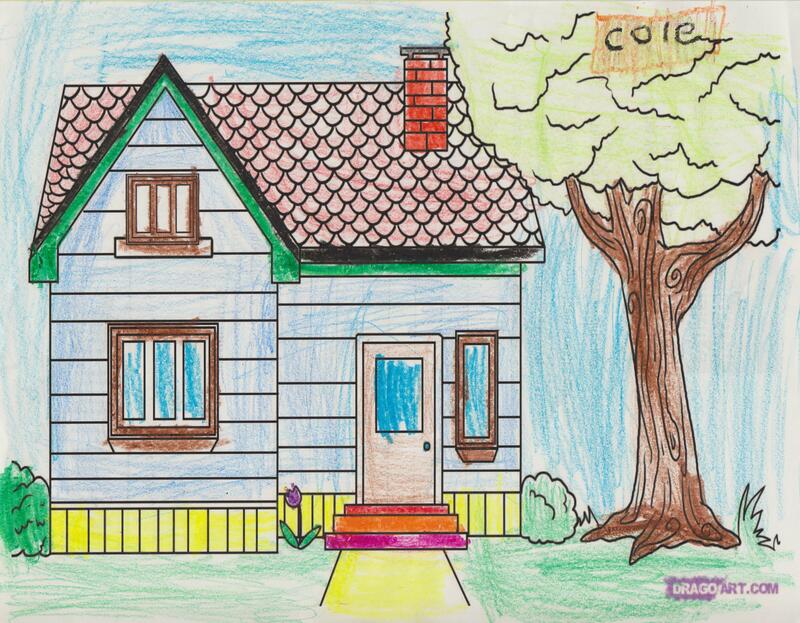 On September 27th, I was happy to be hosting a coloring contest from my vendor booth at Braemar Day. It was a nice bag stuffer to go with the trick-or-treat bags that I had made up for the kids. 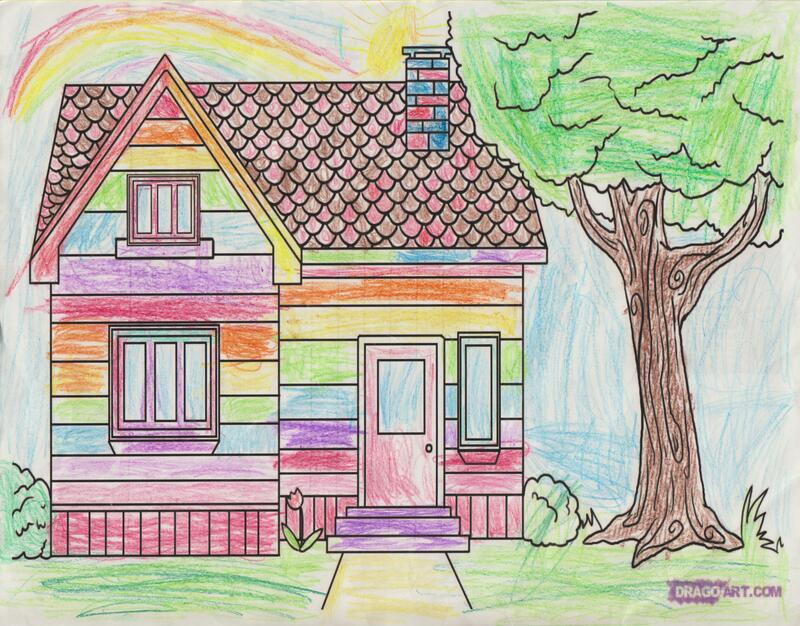 Of course, when it came to picking an object for the kids to color, I went with the obvious—a house! Come on. I’m a real estate agent. What else was it going to be? 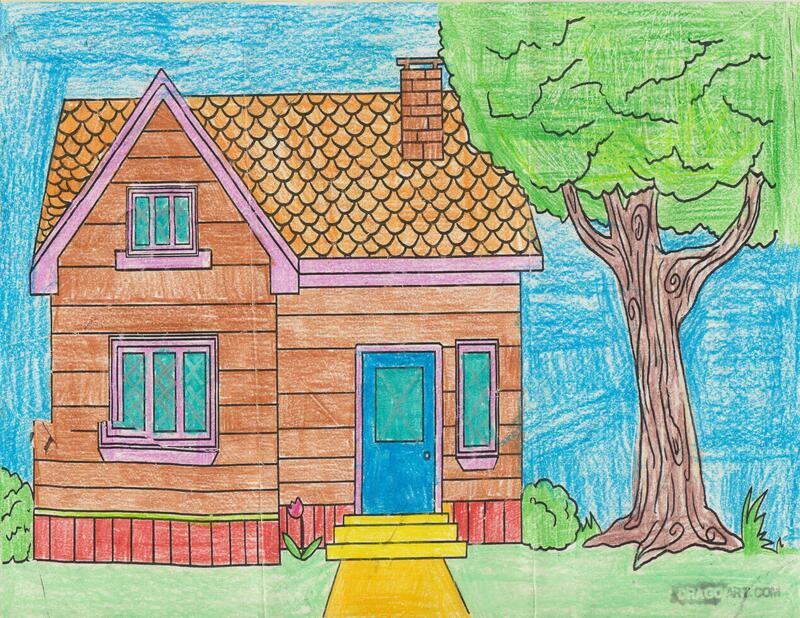 And of course, everyone has a different vision of their dream home…even kids. After receiving all the entries, three winners were picked. In first place was Christina with this picture perfect entry. Take a look at the bright blue sky, and even the attention to detail in embellishing the windows with a diagonal, criss cross accent. In second place was Cole. I remember watching Cole color his at the booth. What a perfectionist. He created a beautiful blue house with multi-colored steps. Third place by Lexie, was all about rainbows. From the siding to the rainbow she drew behind the home, there were bursts all colors all over. I loved the pink and brown shingles. If you are thinking of selling your current home for your dream home, give me a call for a free market analysis. No One Knows Braemar Better! What time of year a Braemar listing hits the market depends largely on the situation of the seller. Not all sellers experience the circumstances that drive their move to coincide with the spring market. And that’s not a bad thing. A lot of sellers don’t realize that Braemar experiences year round demand. 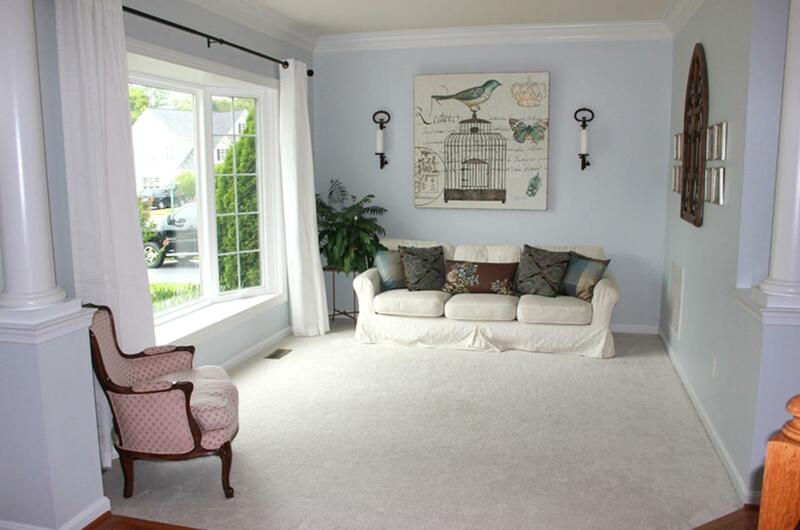 At the time that the home hit the market, the Braemar real estate market had already softened. Buyer demand was not as intense and homes were sitting on the market. 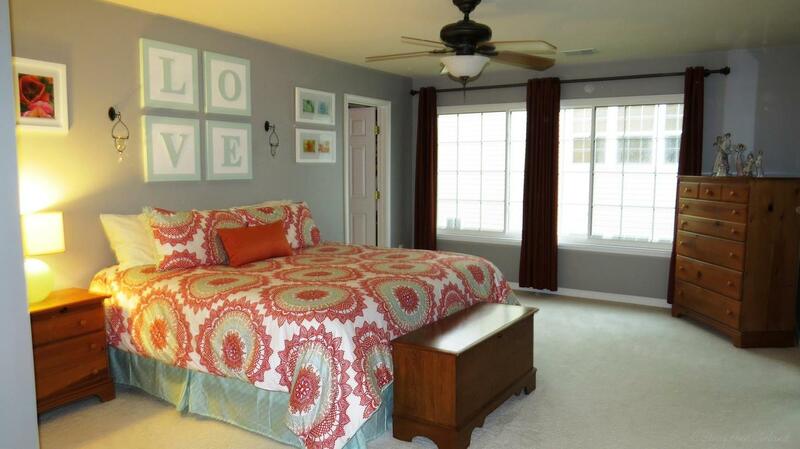 The Seller was prepared for a longer marketing period than earlier in the year. 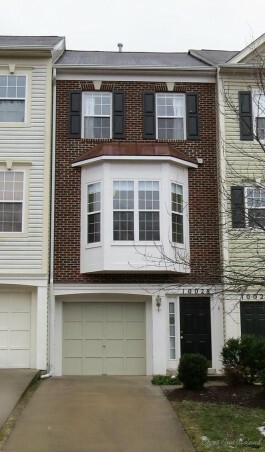 After a lot of showings, but no offers, the Seller lowered the list price to $314,000 on September 23rd. After twenty-six days at the improved list price, the house received an offer and was officially under contract two days later. The total marketing time was forty-seven days. 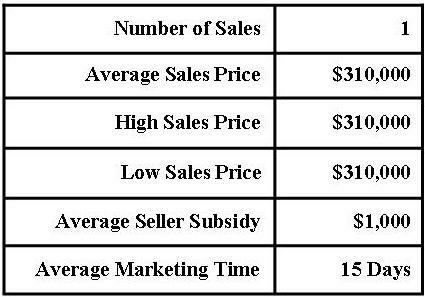 You will have to wait until December to learn the final sales price. However, if you are one of those sellers that find themselves needing to list in the fall or winter, don’t despair. Buyers are looking in Braemar year round. 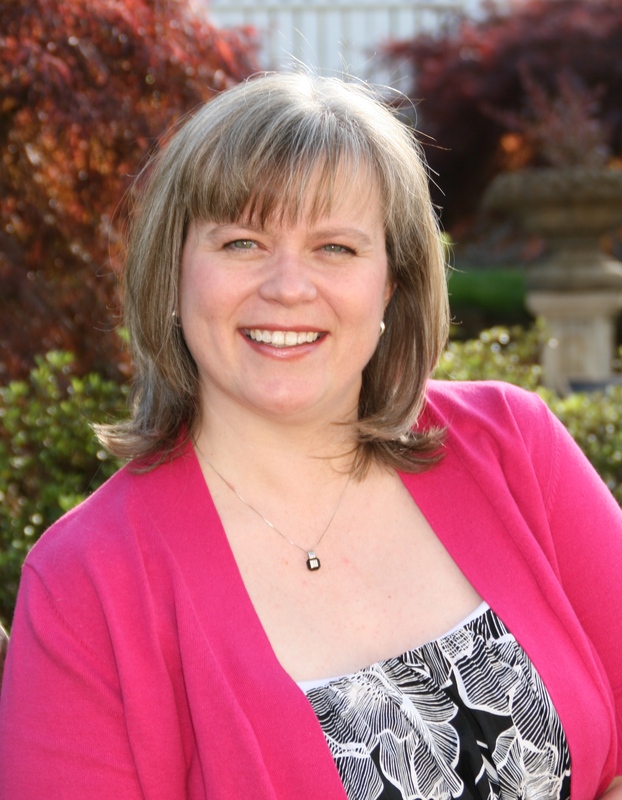 Contact me for a free market analysis of your specific home’s value. No One Knows Braemar Better! 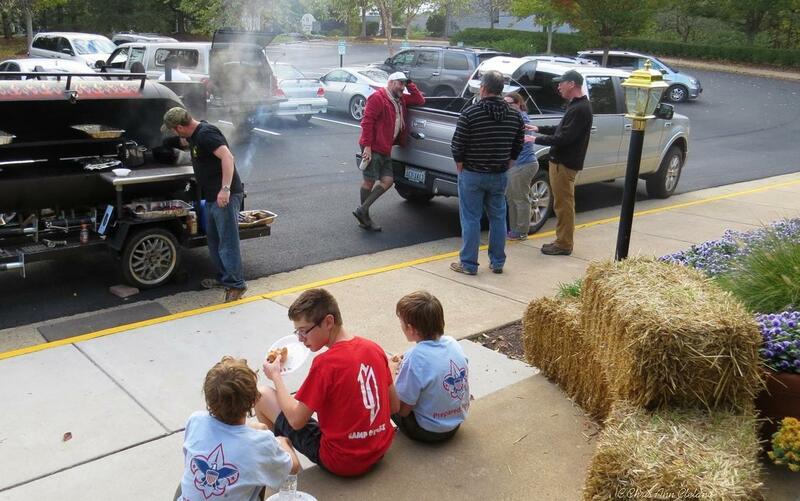 For the third straight year, Tartan Hills Village HOA sponsored a chili cook off in Braemar. Returning 2013 Chili Cook Off Champ Brian Anderson brought his fiery chili and competed against Katie Quick’s chili, represented by husband Frank Quick. There wasn’t just chili to eat. Brian was kind enough to bring some great cornbread made with cream corn which was a perfect accompaniment to his tamed down, but still hot chili. 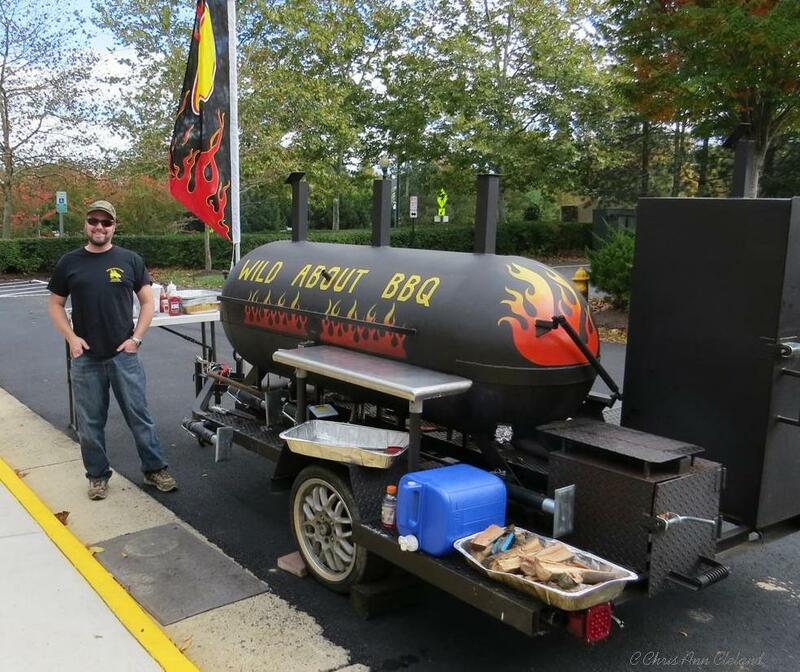 And Tartan Hills Village HOA had hot dogs, hamburgers, pulled pork and even BBQ chili supplied by Matt Burrough, owner of Wild About BBQ. Matt set up in the front of the clubhouse and served all of our guest with a smile. Kara Branham, owner of Drama Mama Cakes supplied chocolate and vanilla cupcakes. You know you’re eating a good cupcake when you can’t figure out if the cake or the icing is better. YUM! 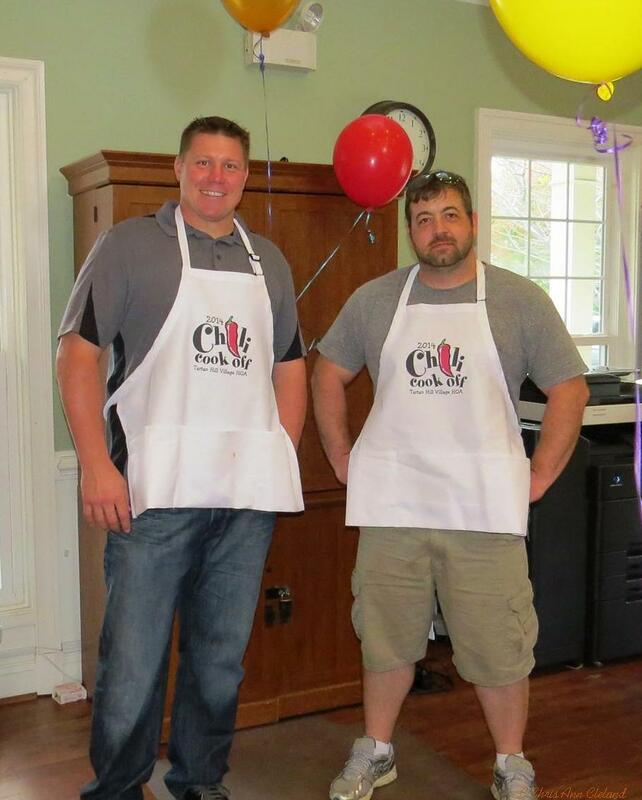 We mixed, mingled, ate BBQ and tasted the chilis. 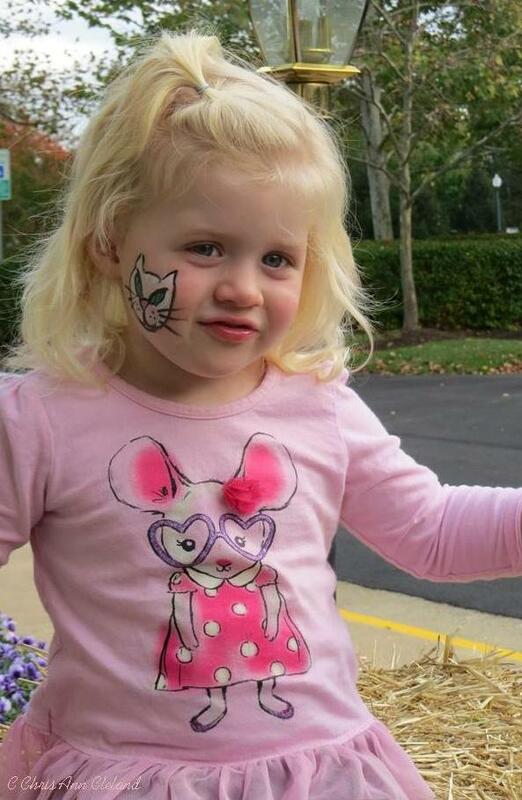 The kids were happy to get their faces painted. We saw Iron Man, camo, flowers, butterflies and kitty cats. Frank Quick was the first adult to step up and get a fire-breathing dragon his arm. Very appropriate for a chili cook off. At the end of the day, the votes were tallied and Katie Quick’s chili had won. Frank accepted the trophy and $100 VISA Gift Card on her behalf as she had a commitment to attend a charity walk. 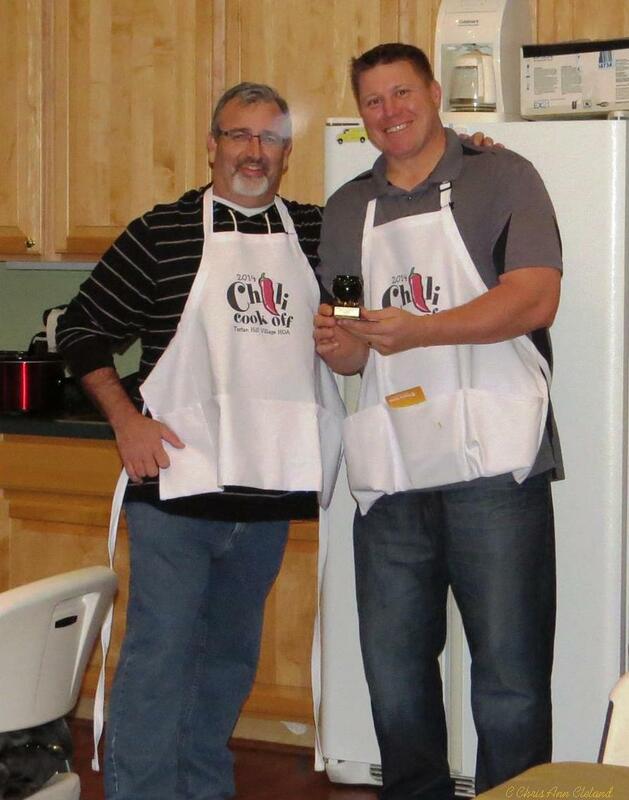 Each chili contestant received an apron for participating, commemorating the event. And a lucky attendee got the last apron as a door prize. Congrats to our winner and thanks to all who attended. It was great to see some new faces and people from all over Braemar. 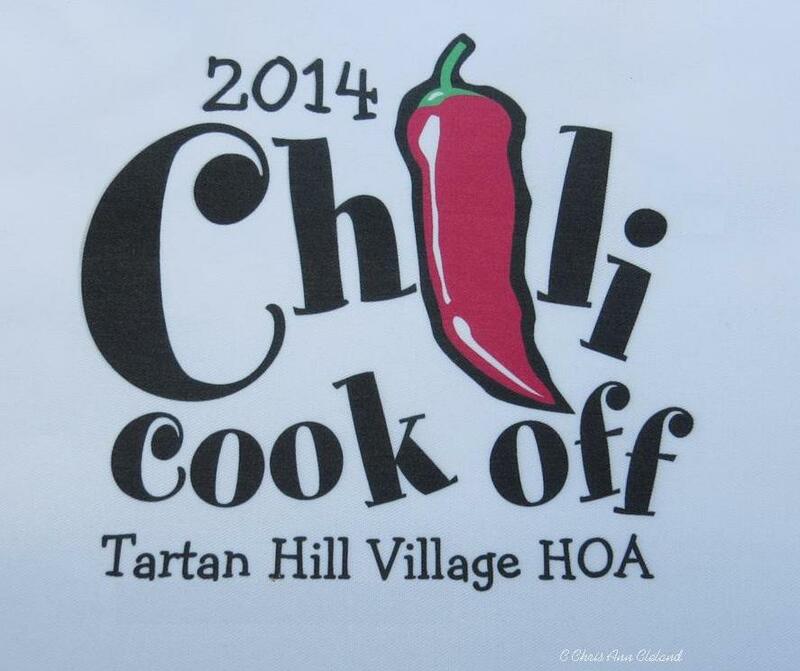 We’re looking forward to the 4th Annual Tartan Hills Village Sponsored Chili Cook Off next October. Why this Yardley has not already been snatched up by a very enthusiastic buyer is beyond me. Of course there are reasons that buyers may not be thinking about real estate right now. They watch the news and may feel the world is on the brink of crisis. Mid-term elections are right around the corner, news networks are pumping the fear of an Ebola outbreak and ISIS. And if that weren’t enough, the local election for the Brentsville Supervisor’s seat on the Prince William County Board of Directors is turning into a three-way contest. 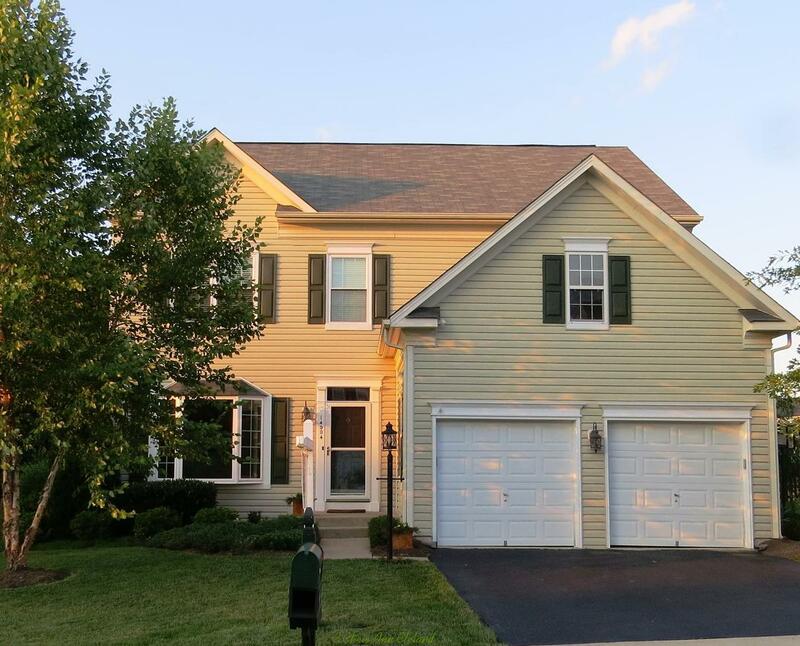 Let me assure you, if you don’t act, you are probably going to miss out on this cheery Yardley, especially since the Sellers have lowered their list price to $439,000. 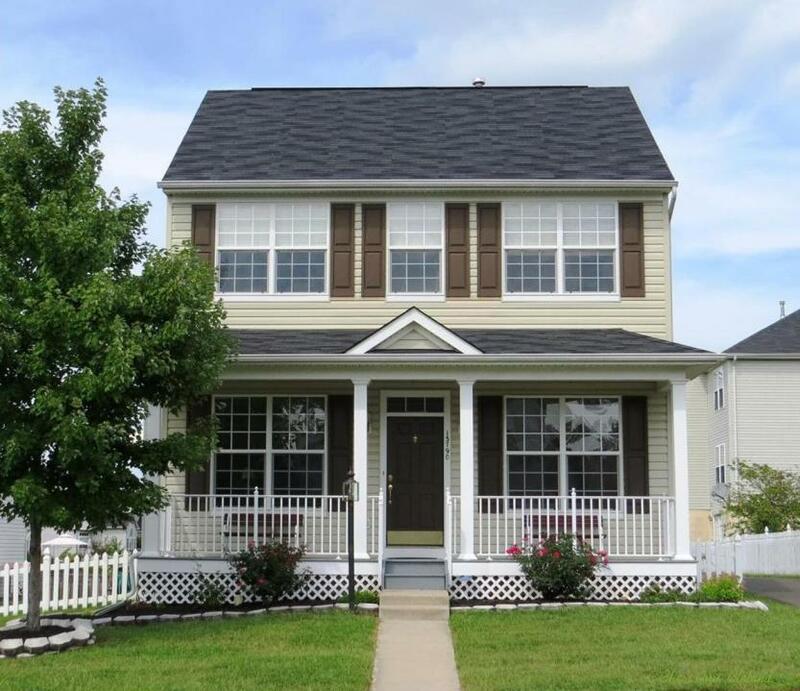 There is still time to get into this home for a Thanksgiving housewarming. With the eat-in kitchen, complete with island, gas cook top, double ovens, cooking a large meal would not be a problem. 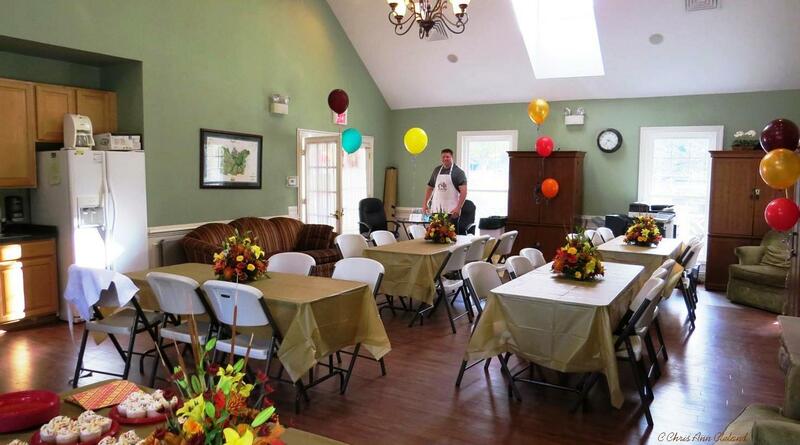 Formal dining room is just a pass through away for easy service. 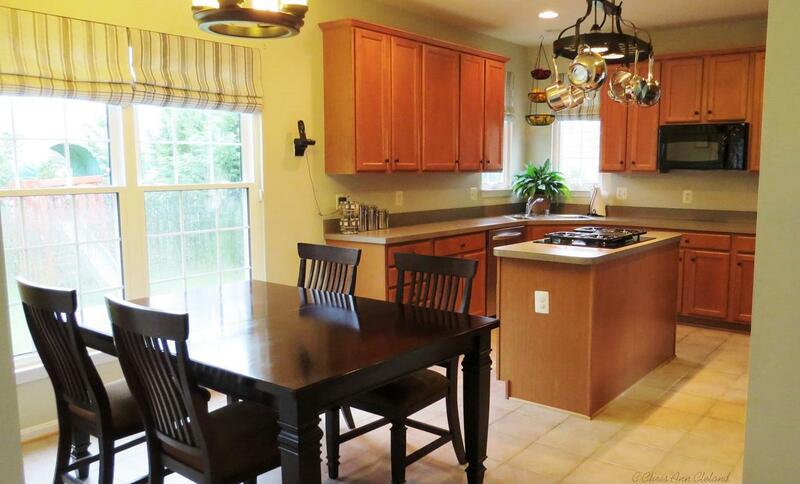 And the eat-in kitchen is open to the large family room so the cook is never cut off from the family or guests. And if you want the glow of the fireplace for your Thanksgiving gathering, just flip a switch. 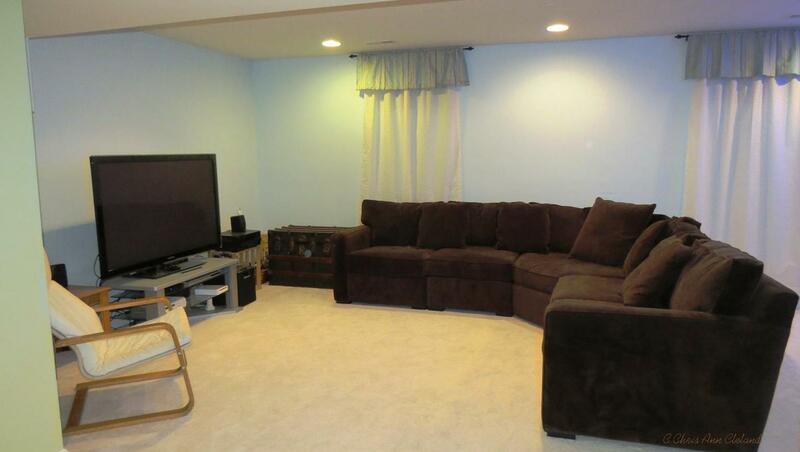 If you want to watch the Thanksgiving Day games, the recreation room in the basement is definitely worthy of being the designated man cave. One of the best features of a four bedroom Yardley, is that the bedrooms on the upper level are very generously sized, particularly the optional fourth bedroom. 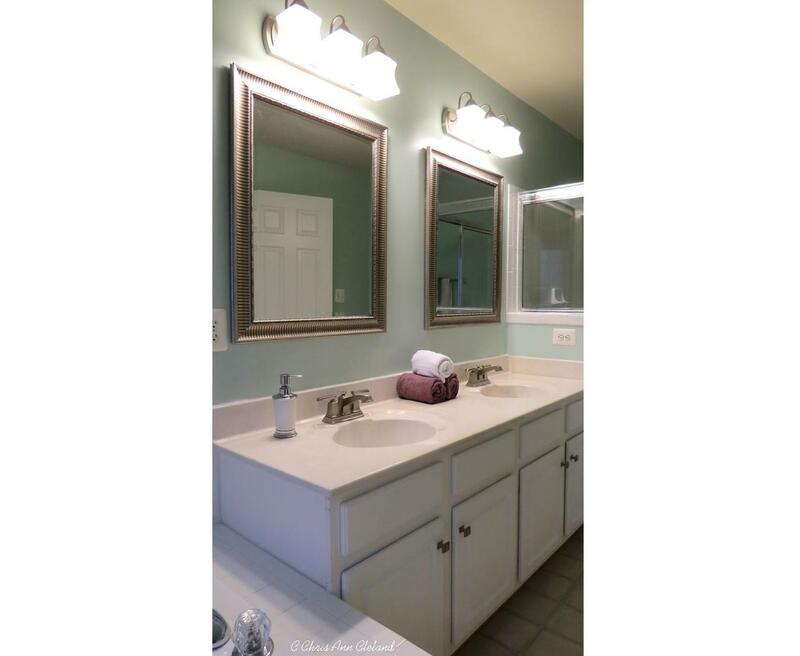 The Master Suite has two walk-in closets and an attached bath with all the necessary conveniences: dual sinks/vanity; separate soaking tub and stall shower. 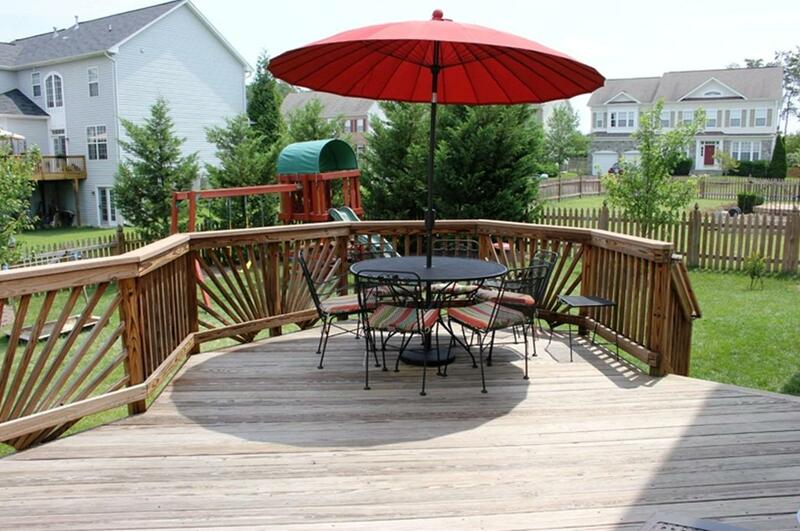 In the warmer months, enjoy a wood deck that has walk down stairs to the fenced back yard. 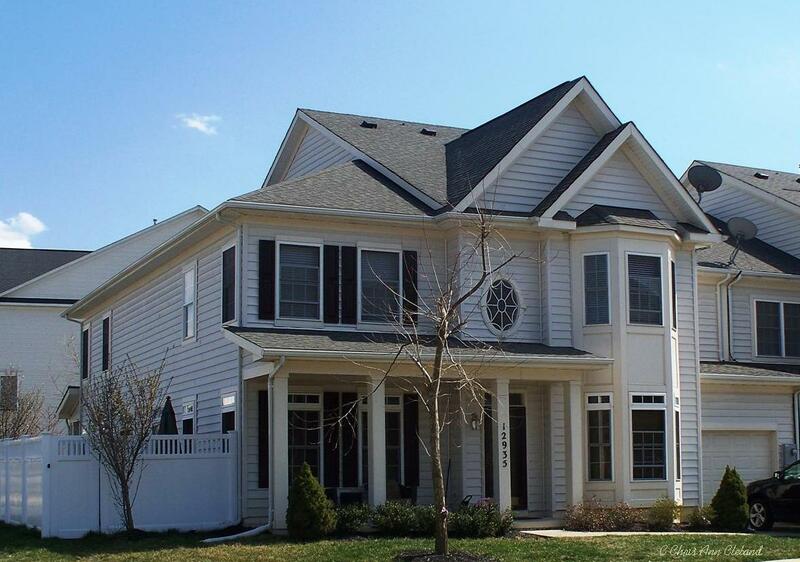 This Yardley at 14004 Rora Moss Place will be open for you to view on Sunday, October 19th (2014) from 1pm-4pm. Get out and see it and be the first to act to make it your home for the holidays. The third quarter of real estate sales in Braemar was softer than sellers and agents expected. In fact, there were no sales of Braemar Piggyback Townhouses in those three months at all. That’s despite having three listings on the market from $260,000 to $275,000. At the time of this report, only one of those listings is still active. It’s listed for $274,950, down from its original list price of $309,000. And after 127 days on the market, you can see what I mean when I use the word soft about the market. The days of putting a home on the market and having it under contract in a week or less seem to be behind us. 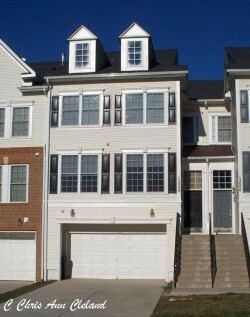 If you placed your Braemar Piggyback Townhouse on the market, you should be prepared to be aggressive on price to avoid the overblown days on market and lack of success of those before you. Price it to sell from the beginning and get the job done. There wasn’t much activity in the Patio Homes in the third quarter either, but what did happen gives us some good news. One Braemar Patio Home sold. 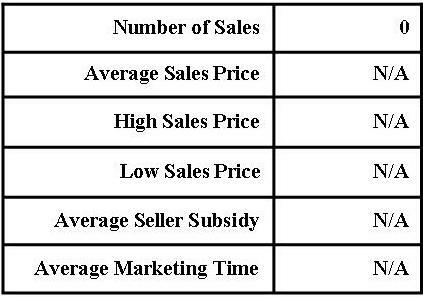 Its sales price is our new market value, which is a nearly 7% improvement since last report. If you placed your Braemar Patio Home on the market, priced to current conditions, this report indicates it would be under contract in just under one month. You could also expect a buyer to ask for some closing cost help. In this case, it just happened to be $1,000. The next Braemar Piggyback & Patio Quarterly will cover the fourth quarter of 2014 and will be out in January. Until then, I hope you enjoy the upcoming holiday season. Of course, if you are thinking of selling your Braemar condo, call me for a free market analysis. No One Knows B raemar Better! It is a pleasure to finally see the fall colors popping as I drive through Braemar. It seems today was actually the first day they felt vivid. The coming of the fourth quarter of the year means it is time for us to look back and see what has happened in the Braemar condo market. Braemar condos look like townhouses, but are condo ownership. They are located on one of four streets in the community: Caithness, Lord Lovat, Moxleys Ford and Heykens. If you are buying a townhouse on one of these streets, you are buying a condo. 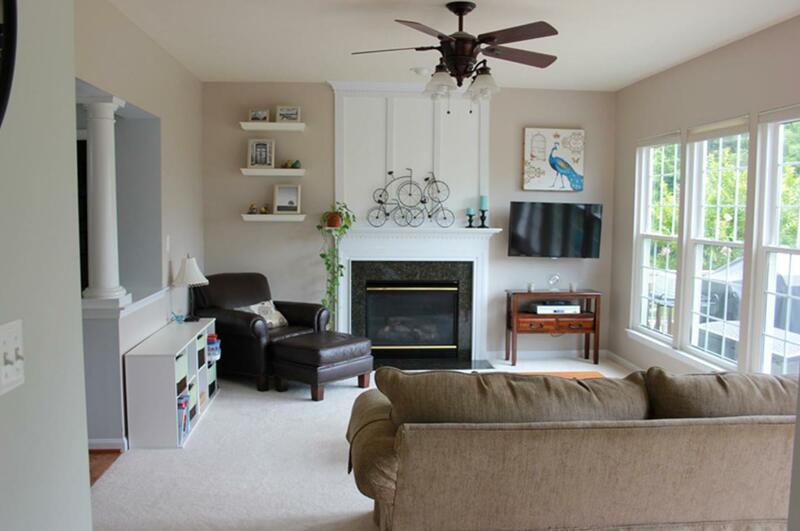 At the end of September, there was one Braemar condo under contract. They weren’t and still aren’t any condos in Braemar for sale as of the time of this post. During the third quarter, there were two Braemar condo sales. 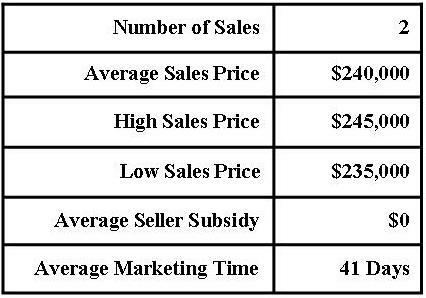 That’s the same number of sales as we saw in the third quarter of 2013 and one more than we saw in the second quarter of 2014. The average sales price is now $240,000. That marks a decrease of 2% in value since last report and a decrease of a little over 1% since last year. If you placed your Braemar condo on the market, priced to current market conditions, you could expect it to take an average of 52 days to go under contract. You could also expect that a buyer may not ask for closing cost help. Neither sale this report asked for closing cost assistance. The next Braemar Condo Quarterly will cover the fourth quarter of 2014 and will be out in January. Until then, I hope you enjoy the upcoming holiday season. Of course, if you are thinking of selling your Braemar condo, call me for a free market analysis. No One Knows Braemar Better!